Never quite got around to visiting Ickworth’s eccentric rotunda near Bury? Fancied Felixstowe’s Landguard Fort, yet still planning your attack? Or what about the day-out discovering Sudbury’s silk weaving history? Is that always just slipping through your fingers? There’s so much stunning heritage on our rural, urban and coastal Suffolk doorsteps, that some things are sure to get overlooked. Once a year, the Heritage Open Days scheme offers the perfect solution. Now in its twenty-fourth year, it has become a national treasure in its own right, with over 40,000 volunteers from 2,500 organisations putting on 5,000 events across England, and complementing ‘European Heritage Days’ which stretches across 50 countries. 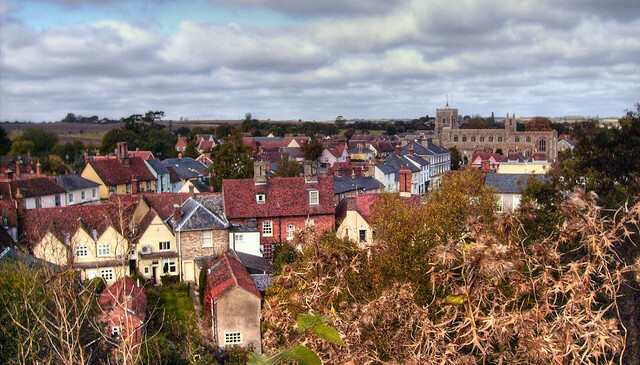 In Suffolk, there are inspirational offerings throughout the county, from West Stow to Woodbridge and Bardwell to Barnham. Enjoy free entry into grand Ickworth House for example, or secret Bawdsey Manor (otherwise totally off the radar for visitors). Join walks and talks about cemeteries, suffragettes and all sorts of social history. There are mills and tower-top thrills, themed displays, workshops, concerts and re-enactments. Something for everyone? Definitely. The Heritage Open Day weekends – September 6-9 and 13-16 – are all about discovery.Experience farming history with Suffolk Punch horses at Rede Hall Farm Park, Chedburgh, or head to Lowestoft to learn of Suffolk’s fishing heritage, with a visit to Roberts’ Fish Merchants or ‘Mincarlo’, the last sidewinder trawler of the town’s fishing fleet. On High Street, you can pop in the Victorian chemist shop or tour the lofts in the Grade II listed haberdashery. At Bury’s Guildhall, cloth-making and embroidery workshops should have you in historic stitches, whereas Isabel Clover’s Charter Wall-hangings in St Peter’s by the Waterfront in Ipswich have local stories to tell from pre-Viking times to the present day. Got Suffolk roots? The county’s record offices are there to help trace the past and Heritage Open Days see them showcasing their archives through detailed displays, tours and talks. There’s a pop-up office in Halesworth, drop-in sessions at Lowestoft, behind the scenes tours at Ipswich, plus displays on the Home Front and Great War at Bury. ‘Extraordinary Women’ is a key theme this year, but for more military memories, don’t miss Bury’s Suffolk Regiment Museum, Felixstowe’s Landguard Fort or a tour of Barnham’s Breckland bunker, Cold War home to atomic weapons, Red Beard and Blue Danube. Barnham’s bunker has a 25ft high watchtower. Clare’s heritage walk scales the castle motte and Bardwell’s 1820s working windmill has a step or two. Look up at St Peter & St Paul’s hammerbeam roof there, but head for Gainsborough’s family church (All Saints, Sudbury), Lowestoft’s Church of our Lady Star of the Sea, or Lord Foster’s modern day Ipswich masterpiece, the Willis Towers Watson building, for awesome rooftop views. St Margaret’s Ipswich reveals its new bell-ringing gallery and there’s a rare chance to go inside Bury’s Norman Tower. If you’d rather stick to terra firma, check out the family-friendly astronomy workshop in the adjacent Abbey Gardens. You might spot stars of a different kind on backstage tours at Suffolk’s theatres. Choose from the Regency glory of Bury’s Theatre Royal, Lowestoft’s Marina and Seagull Theatres and Felixstowe’s seafront Spa Pavilion. Another breed of actors will bring the past to life at West Stow Anglo Saxon Village, in Ipswich Museum, Maritime Woodbridge and at Felixstowe’s Martello Tower ‘P’. 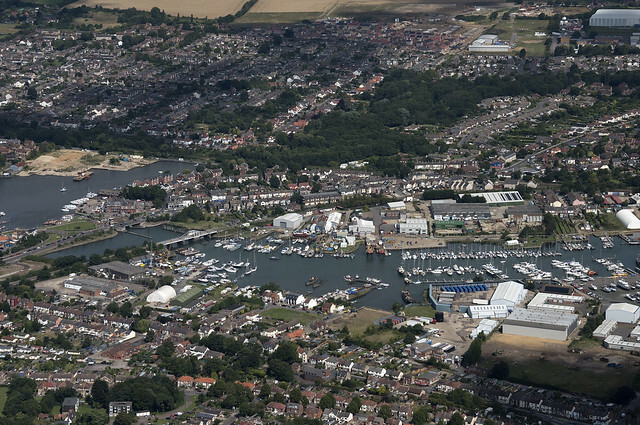 Dressing up is up to you, if you go back to school at super smart Ipswich School, or Woolverstone Hall on the banks of the Orwell. Or why not explore behind Sudbury’s town hall doors and take tea with the mayor in the newly decorated parlour? For teapots galore, visit the fine collections of Lowestoft porcelain in Oulton Broad’s Lowestoft Museum. Simon Sudbury, Archbishop of Canterbury and despised poll tax instigator, lost his head in the Peasants’ Revolt. As a special Heritage Open Day treat, you can pop along and see it in St Gregory’s Sudbury. 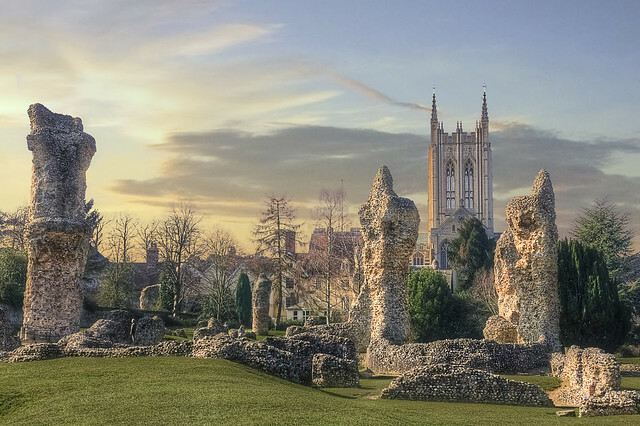 A cemetery tour might lift your spirits in Bury St Edmunds or Framlingham as you encounter notable residents and there are stories of right royal horse skeletons in Newmarket as well as exquisite animal paintings to enjoy in Charles II’s Palace House. Britten’s Aldeburgh home, The Red House. Welcoming Heritage Open Day visitors for the first time, it will be running special events and activities. Her love of bringing ‘secret’ spaces alive has long been shared by eminent local conductor Vetta Wise, who has developed community recital programmes in St Peter & St Paul’s Kirkley, and will be leading a Pakefield Singers concert at All Saints & St Margaret Pakefield, and inviting people to learn and perform Andrew Rayner’s ‘Suffolk Song’. 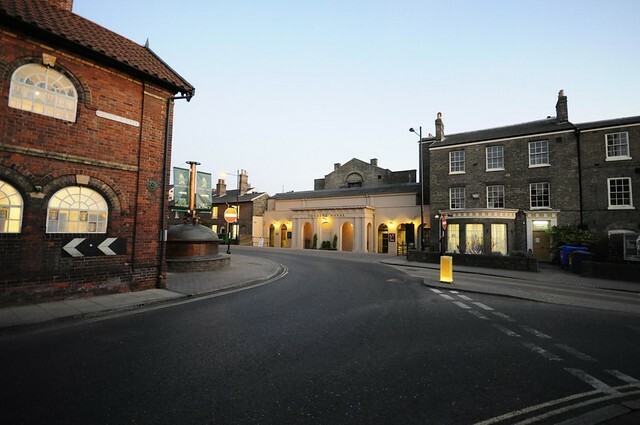 Lowestoft’s Heritage Open Days ‘mini-festival’ will feature 65 events including performances, talks, walks and activities, culminating in celebratory concert in Benjamin Britten’s childhood church in Kirkley. 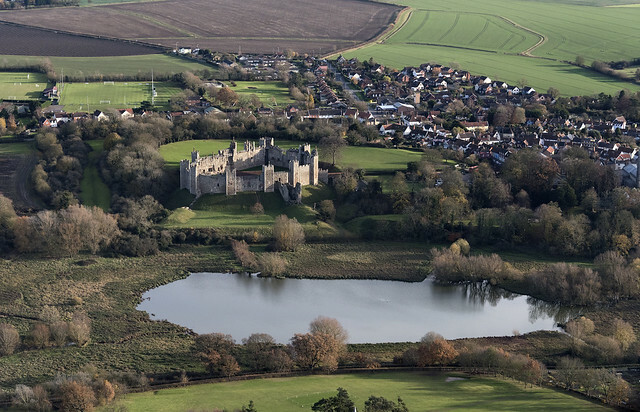 In a time when Suffolk towns like Framlingham are rapidly expanding, local historian John Bridges values Heritage Open Day walks like his ‘Fram’ tour as a chance for long-term and newly arrived residents alike to discover more about the place they call home. Soon to launch a book about the town in wartime, he’s looking forward to sharing insights into Fram’s local characters. “We start with the Market Hill grocer whose ambitious son became Queen Victoria’s surgeon, and donated the church clock. Then there’s the war memorial and hidden theatre, before inevitably ending up amidst all sorts of interesting folk in the cemetery. All events are free and may be held on specific dates/times only. Most events (65%) do not require pre-booking. Others may need to be booked within a certain time frame. Some venues, tours and activities can be very popular.